I’ve only begun to enjoy leafy green vegetables in the past couple of years. Escarole, kale, and spinach are things I’ve come to enjoy with age, and experimentation. The same is true for lentils. When I was little, and my mom and grandmother would eat lentil soup for dinner, I’d be eating pasta with butter and parmigiano reggiano cheese. When my mom asked, “Do you wanna try this? It’s good for you!”, I’d make a face. I had the same reaction to escarole and bean soup from age 5 up until I was 28. My father and I went to Frankie’s Spuntino in Carroll Gardens (it’s a lovely place), and I was trying my best to order something delicious and Weight Watchers-friendly. I took a chance on the escarole and bean soup. It was love. And it looked simple enough to make at home. Oddly enough the two things I love most about this soup are the flavors of the parmigiano cheese, and dunking a piece of crusty Italian bread into the broth, letting it soak for a few seconds, and then taking a bite. It’s a simple soup and pretty quick to make. Sometimes, the Met food store around the corner from me will mislabel escarole as lettuce, and chicory as escarole. Mistaaaake! Chicory is curly, and really bitter. Also, it doesn’t go nearly as well with white beans. The most time consuming part of this recipe is cleaning the escarole. You know how TV chefs will just grab a vegetable from a bag or store container, and then throw it into a pot sizzling with hot oil? Well, you don’t want to do that with escarole (or anything, really. Dirt is gross.) Escarole is full of dirt, on its leaves and in the crevices around the stems. 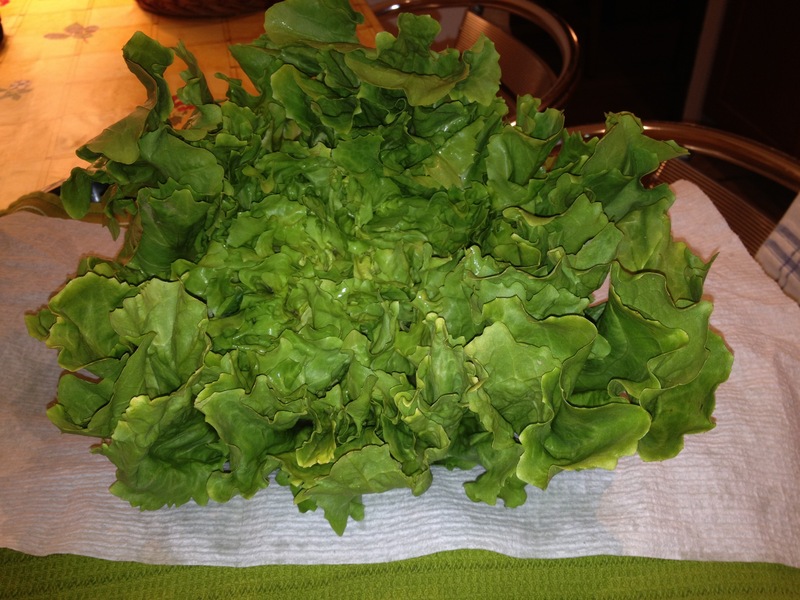 The best way to clean it is to pick off all the leaves and soak them in cold water (in the sink, or in a great big bowl), drain, rinse again, and then dry in a salad spinner. Then, leave the leaves to dry further on a kitchen towel. Okay, now it’s time to make some soup. Heat a large stockpot for a solid minute, and add 1 1/2 tbsp of the olive oil. Swirl to coat the bottom of the pot. Add the garlic (Sizzle! ), and let cook for a minute. Decrease the heat if you hear pops instead of sizzles—you don’t want the garlic to burn. Now add about half of the escarole, as it will fill the pot. Stir to coat with the oil. Just a warning – if there’s any water left on the leaves when they go in the pot, the oil will splatter, so be careful. 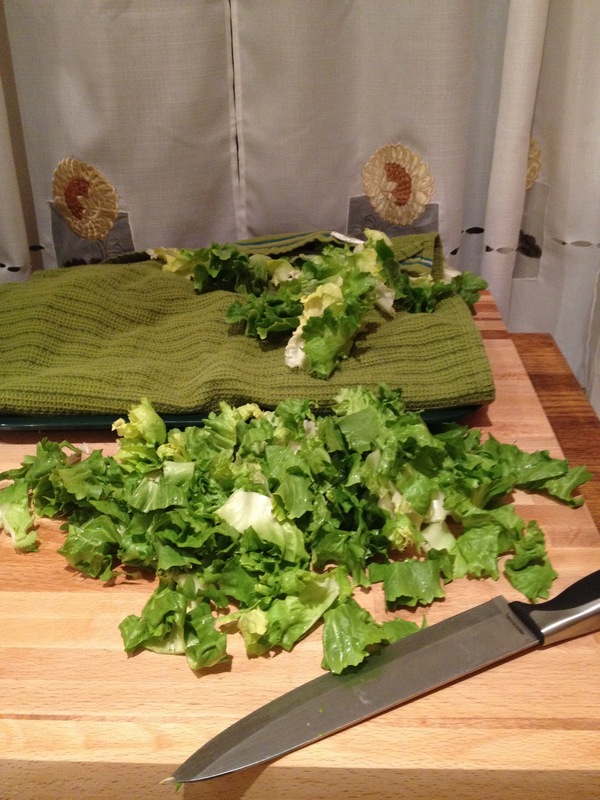 Once the leaves have begun to wilt, you can add the other half of the escarole leaves. Saute for two minutes. Raise the heat to high, and add the stock. Give everything a stir, cover, and wait for the mixture to come to a boil. Once that happens, uncover and reduce to a steady simmer. 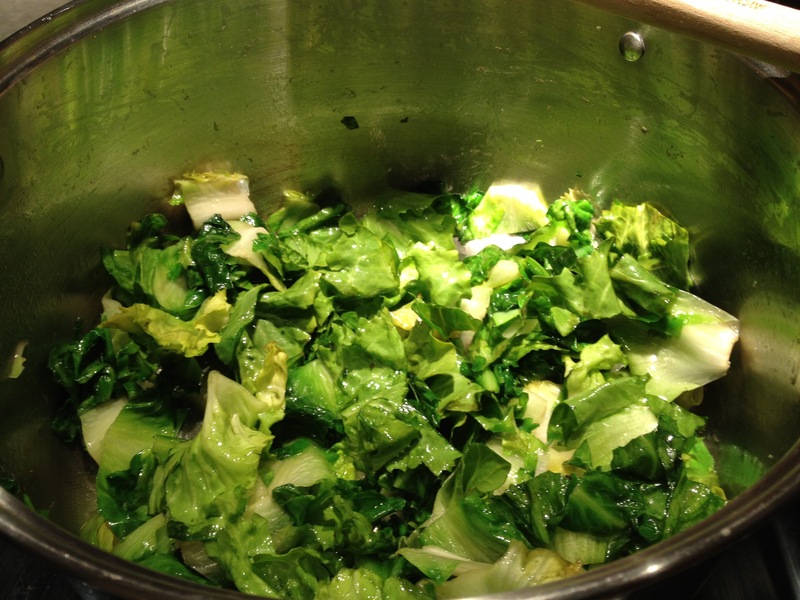 Allow the escarole to cook in the broth for about 8 minutes. Now add the beans. Stir, and raise the heat again to return the mixture to a simmer, if needed. Allow beans to cook with the escarole, still simmering, for 5 minutes. 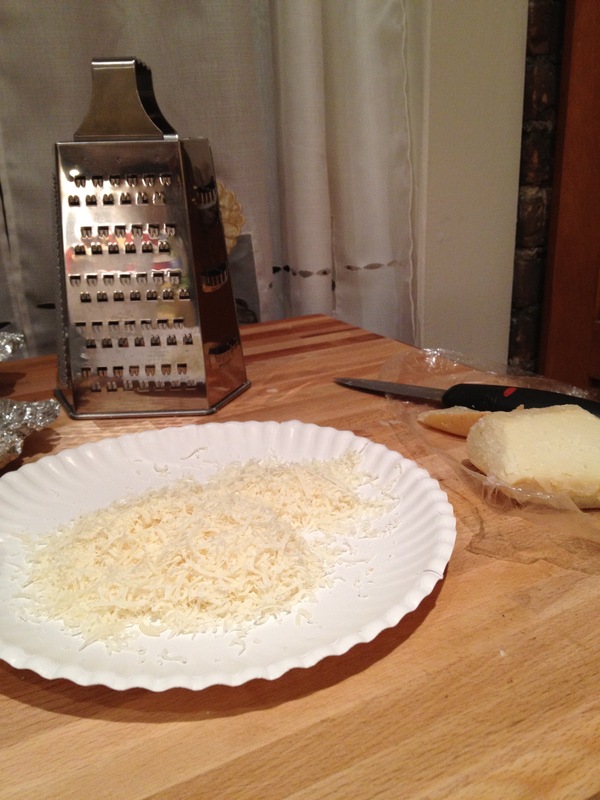 Add the cheese, and stir. You’ll know it’s fully integrated when the broth becomes opaque, and the whole kitchen smells like cheesy goodness. Mmmm. Turn off the heat, cover the pot, and let the soup rest for a few minutes before serving. Divide equally into 4 bowls, and top with a drizzle of the remaining olive oil and some more cheese. Serve with toasty bread, then dip and enjoy. 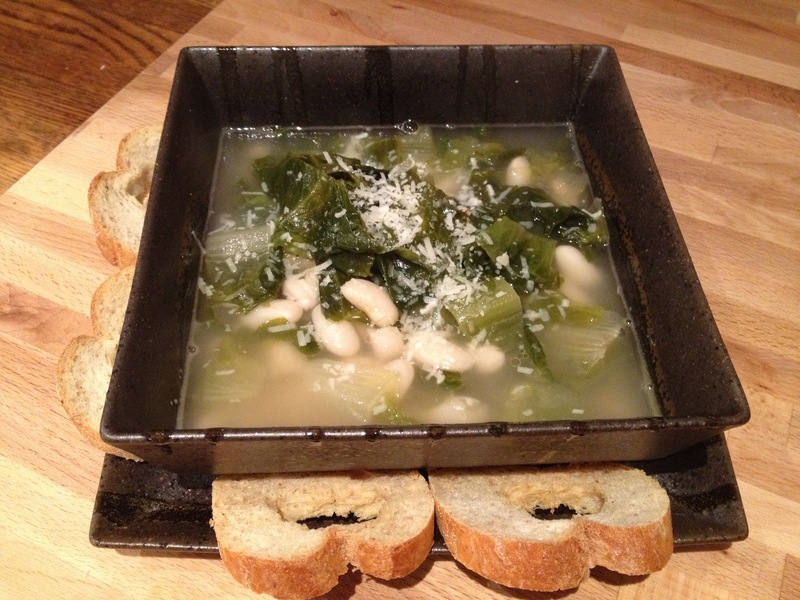 This entry was posted in Recipes, Savory and tagged beans, cheese, comfort food, dinner, easy, escarole, parmigiano reggiano, quick, soup, vegetarian. Bookmark the permalink.